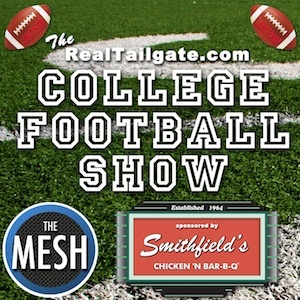 The RealTailgate.com College Football Show is a college football podcast with a North Carolina focus. Join Demetri and Rashim as they discuss North Carolina's four ACC schools and East Carolina. The local FCS football teams and the rest of the ACC will also be discussed, in addition to the major national stories. Watching sports is fun, so talking about sports should be fun too. The Realtailgate.com College Football Show is for everyone that likes football - those that live and breathe it and those that just check out highlights.